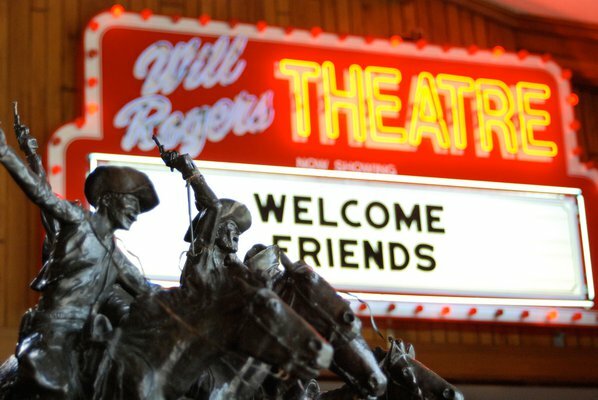 The Will Rogers Memorial Museum in Claremore includes a theater that displays Rogers' movies. Located along Route 66, the museum offers a nostalgic look at the life of the American icon. Western entertainment has a long history in Oklahoma with the one-time home of showman Pawnee Bill, cowboy actor Tom Mix and the 101 Ranch. Many of today’s stars call Oklahoma home, including Toby Keith, Garth Brooks, Carrie Underwood, Reba McIntyre, Roy Clark and Trisha Yearwood. The Oklahoma Rodeo Opry pays special attention to up-and-coming talent. Part of the nonprofit organization’s mission is to provide new Western entertainers a venue to get a little experience under their big silver belt buckle. Any given performance has the potential to give the audience a sneak peek at the next country music superstar in an intimate, comfortable theater. The Oklahoma City shows run two and a half hours, including an intermission, and the ticket prices make the evening a fun, wholesome bargain. Gordon Lillie, better known as Pawnee Bill, was one of the great Western showmen. His Wild West Show toured the United States and Europe in the late 1800s and early 1900s. The show included trick riding, trick roping, sharp shooting and other entertainment. Pawnee Bill’s Wild West Show is re-enacted on the showman's own ranch in Pawnee in June each year. There’s a parade before each performance and a barbecue dinner. The ranch and Lillie’s home also serve as a museum, so it’s easy for the whole family to make a day of it. Good guys and bad guys shoot it out on Saturdays in Guthrie – watch for the gunfights every hour on the hour from 1 to 5 p.m. at 2nd & Harrison in the historic downtown area. This group of re-enactors has been around since 1993 and performs all over Oklahoma at festivals. Discoveryland! is the official national home of Rodgers & Hammerstein’s famed musical Oklahoma! Will Rogers and Tom Mix were both bona fide cowboys-turned-performing celebrities. The Will Rogers Memorial Museum in Claremore and the Tom Mix Museum and Western Theatre in Dewey both offer daily showings of one of their namesake’s films. Tom Mix starred in more than 300 Western films, beginning in the silent era and transitioning successfully to talkies. Will Rogers made more than 70 feature films and was on contract at Fox at the same time Mix was there. Unlike Mix, who was working in Oklahoma when he started performing for the 101 Ranch Wild West Show, Rogers was an Oklahoma native. In both cases, it’s a treat to sit down and watch a classic black-and-white matinee starring one of these two famous cowboy entertainers.